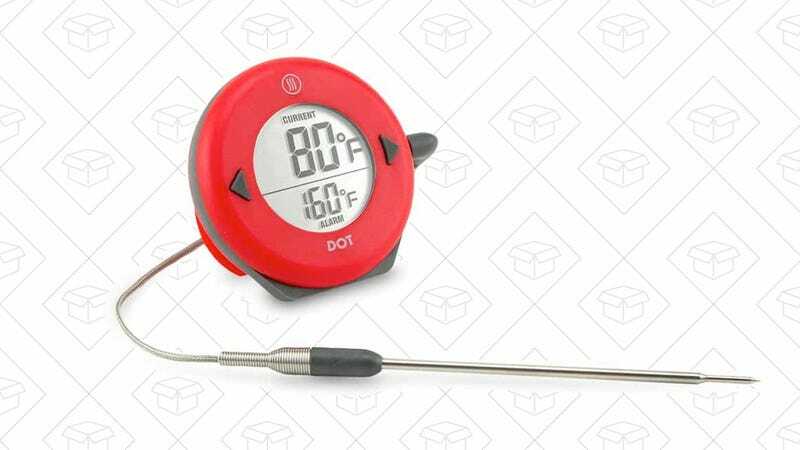 The makers of our readers’ favorite meat thermometer are discounting their tiny probe thermometers for today only. You’ll set your target temperature, insert the probe into your food, and then the Dot will beep when the target temperature is reached. As long as you’re in earshot, you’ll be free to do whatever around your house. Plus, the probe can withstand temperatures up to 700 degrees, making it perfect for your Big Green Egg or similar high heat cookers. They normally sell for around $40, but are down to $31 today, so grab while the sale is still going!